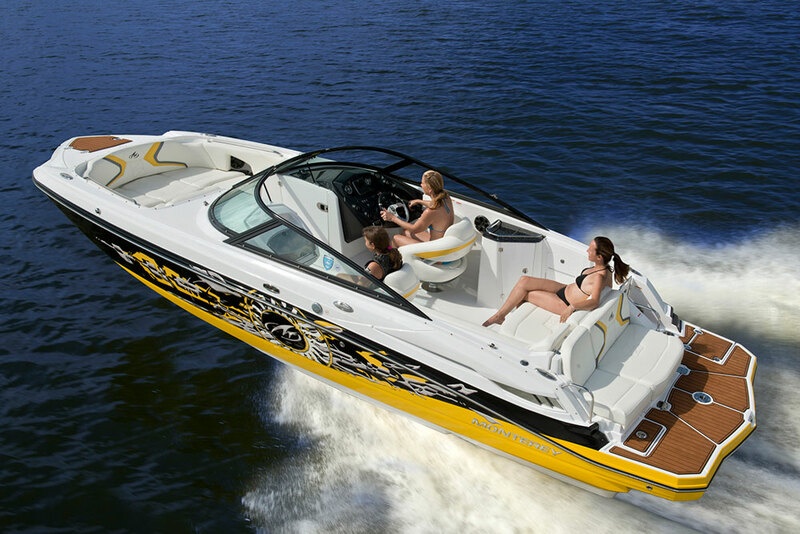 Brett Becker walks us through a few of the cool (if geeky) features he likes on this runabout. 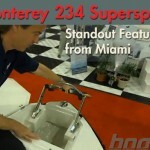 For more videos from the Miami Boat Show, visit www.boats.com. 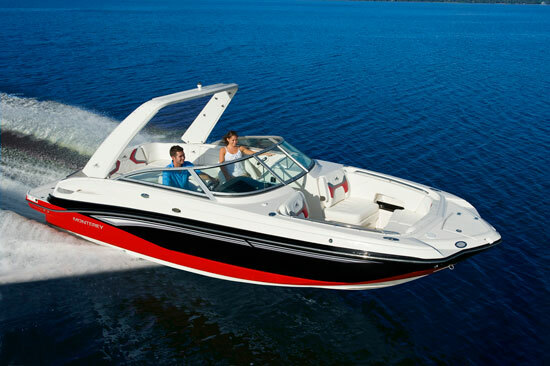 Hi, we're here at the 2013 Miami Boat Show, checking out what's new on the market. 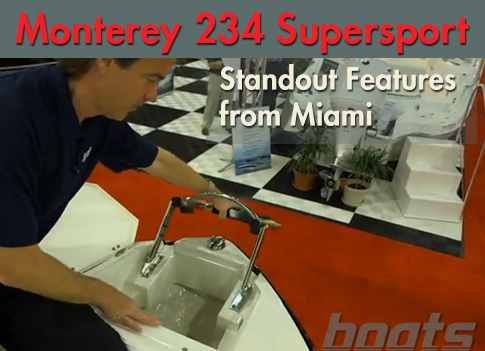 We're in the Monterey booth, with their new 234 SS. 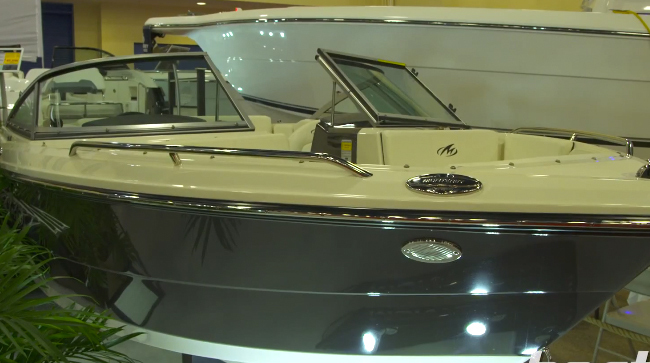 I want to take you through a couple of features that I think make this boat stand out. 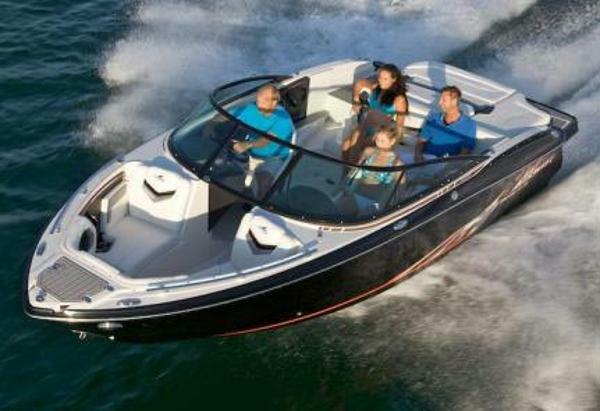 Not only does it have this three step ladder that folds out and over the bow, but you've also got little rubber retainers here for your anchor, so it doesn't bounce around when you're on the water. You've also got an eyelet here to attach the anchor, so when you throw it over you know it's going to stay with the boat. Full featured anchor locker, one handed operation for the ladder, and the door locks in place when you're done. Another thing I get geeked out about: ski lockers. I like this one a lot, because it has a gas strut that supports the lid, and it's stainless which is great because everything's wet in there. It's got a nice liner, all finished out in gelcoat, and back here there's easy access to the battery. 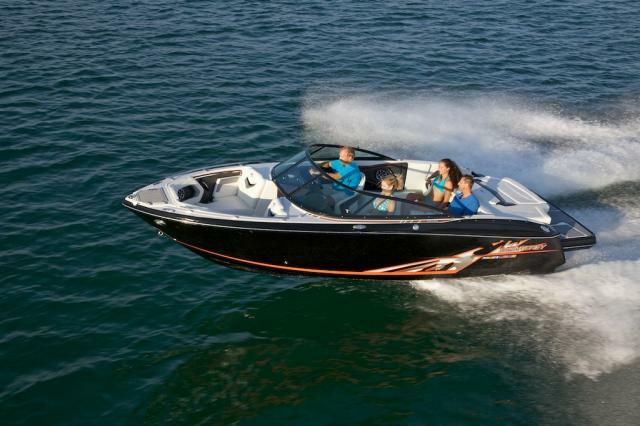 That's just a couple highlights of the Monterey 234 SuperSport. 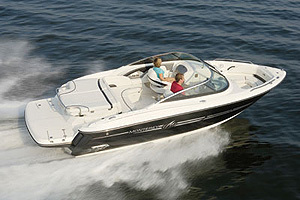 We'll be bringing you a full review of it here on boats.com. 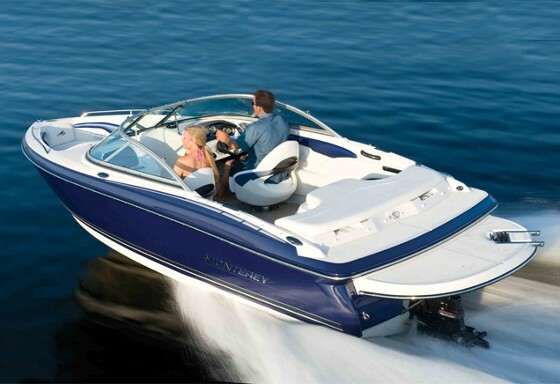 See the full review - Monterey 234SS: A Runabout With Value Added.